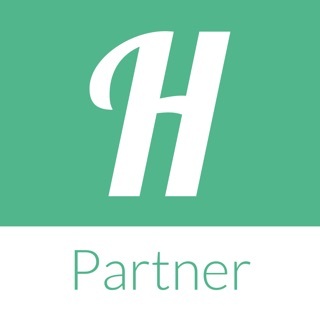 Helpling is the innovative online marketplace to connect you with insured domestic cleaners. 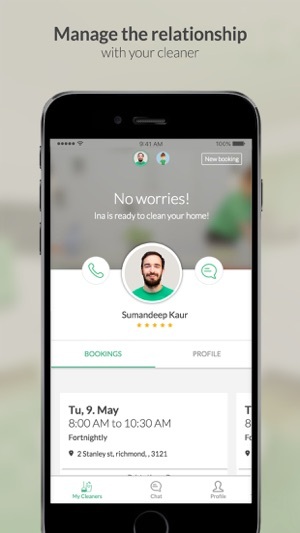 With our app, you can find and book trusted, fully insured house cleaners in your area and conveniently manage your bookings. Simply create a profile or use your existing Helpling customer details to access the app. This Helpling app is available only for customers in Germany, France, United Kingdom, Ireland, Netherlands, Australia and Singapore. + Convenient booking process: To make a new booking, just tell us when and how often you need your cleaner and we’ll match you with vetted and insured cleaners available for your appointment/s. 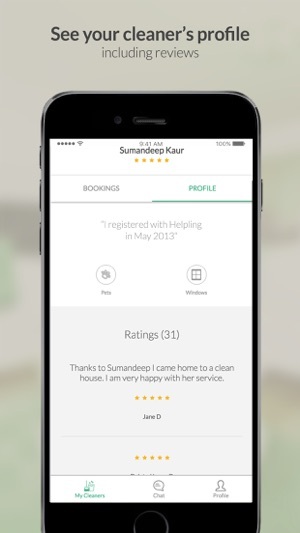 + Profiles of cleaners: See your cleaner’s profile including ratings and reviews from other customers. If you’re making a new booking, you can also see profiles of the cleaners available for your booking. All cleaners have been interviewed and background checked for quality and reliability, and are fully insured. + Overview of all your bookings: See all your upcoming bookings in a calendar view and find information about your previous bookings, including invoices. 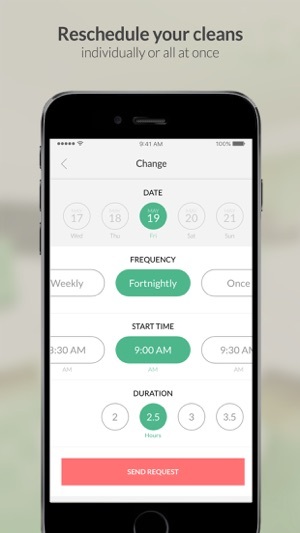 + Reschedule your cleans: Now you can reschedule your appointments either individually or all of them at once. 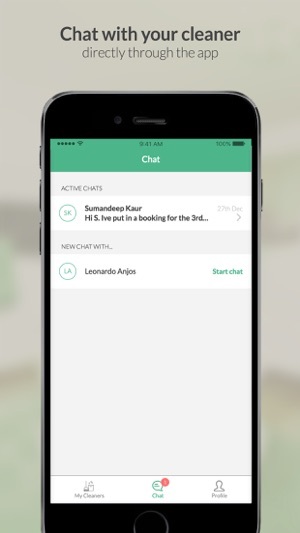 + Chat with your cleaner: We've added a chat functionality so that you can chat with your cleaner at any time. + Secure online payments: Pay securely with any major credit card. You’ll receive your electronic invoice via email after the payment has been processed. For more information please visit https://www.helpling.com or contact us via email: apps@helpling.com. Improvements in Push Notifications handling. Beware. A complete scam. They are good at taking your credit card information and setting up cleaning schedules that are hard to change and they do not have an easy cancelation process if you are not happy. Terrible customer service and very shady business practices. Should not be in the app store. Really low quality app. Limited functionality, lots of bugs. Does not feel professional at all.